Ever since young Louis Rogé decided to flunk university and turn Brodinski into a full time operation, it was his passion for unearthing and creating exciting new tunes that drove him forward. No surprise then when Brodinski unveiled his newest enterprise alongside Manager, Manu Barron: the aptly named Bromance, a music label devoted to "people we love". 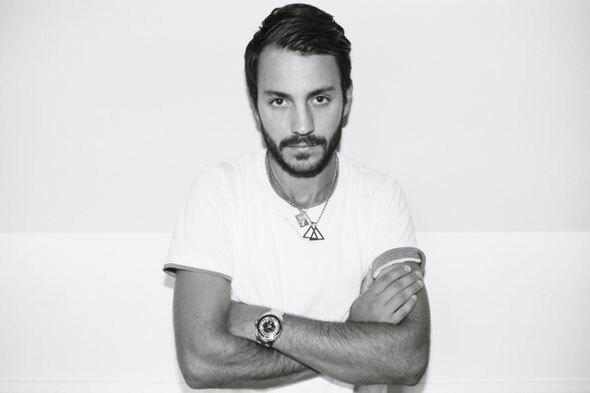 Brodinski: "I realise the record label business is in a messy state right now. But I want to build something solid, something that people won’t give up on after two weeks. I’ve got a lot of passion to pour into this thing." Since its creation in November 2011, the label has already released six original EPs from artists including Gesaffelstein and Jacques Lu Cont, remixes for Lana Del Rey and Evil Nine, in addition to many more collaborations and productions from the Bromance artists. New track 'Dance Like Machines' is inspired by lapdancing and strippers, as Brodi explains: "This track is the result of many hours spent in strip clubs and Faber Yayo saying that we pretty much dance like machines. I’m in love with those girls who give you pretty much everything by dancing. Everlasting dreams. Flip side 'Hypnotize' "is a proper club track, with a little bit of acid for the win. Nothing else. Play it loud and you'll see".